If you were impacted, to assure that your Home and Chromecast devices are running this new code and working properly, reboot them. If you aren’t familiar with how to do a reboot, you have two options. First, and the best way, is to use the Google Home app. Go to the menu then down to your Devices. 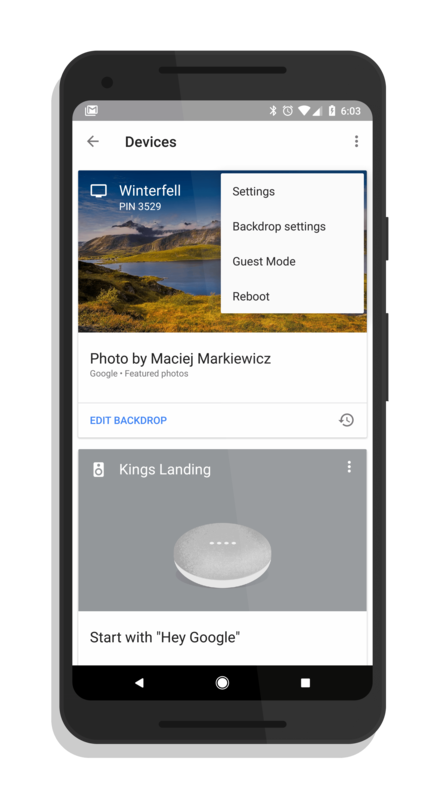 Once your device list is shown, tap on the overflow menu (three vertical dots) for the device you want to reboot and then select Reboot from the menu. The second option is to simply pull the power from the device, wait about 10-15 seconds, then plug it back in. This analog way of doing it will work but it isn’t as graceful to the device as using the Google Home app. That’s the advised way of rebooting.